The Tigers (4-0) were favored by about three touchdowns and raced to a 24-0 lead, only to see the Bulldogs (2-1) pull as close as 24-21 on J’Mar Smith’s 42-yard touchdown pass to Adrian Hardy early in the fourth quarter. Yet, when the game got tight, LSU immediately responded with a touchdown drive of its own, followed by a defensive stop on fourth-and-short, and then another touchdown. Joe Burrow’s 28-yard timing pass down the left sideline to Dee Anderson, who narrowly stayed in bounds as he made the catch in tight coverage, ignited a drive that produced Brossette’s third TD on a 2-yard run in the middle of the fourth quarter. 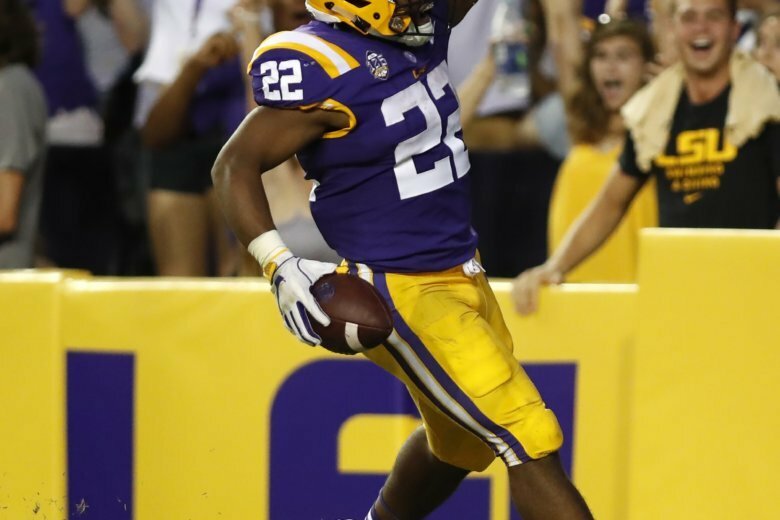 Edwards-Helaire scored his second touchdown on LSU’s next possession, shortly after the Tigers stuffed Smith’s keeper on fourth down. Brossette finished with 78 yards on 23 carries. His second TD came after defensive back Kristian Fulton stripped Hardy and linebacker Devin White scooped the fumble and returned it 29 yards to the Tech 3. Later in the half, senior safety Ed Paris made his first career interception on a pass deflected several times, initially by White. Louisiana Tech: The Bulldogs defense forced five punts — as well as the Tigers’ first turnover of the season — to give its explosive offense a chance to keep it close. A respectable performance in Death Valley should infuse the squad with confidence heading into Conference USA play. LSU: The Tigers rested some key players including left tackle Saahdiq Charles and later lost left guard Garrett Brumfield to an apparent leg injury. The offensive line shuffle appeared to disrupt the Tigers’ flow. Burrow had several throwaways under pressure. LSU is likely to hold steady in the AP Poll unless voters decide the victory over Tech wasn’t convincing enough. Orgeron said the game marked the first time he and his staff felt compelled to sternly lecture a defense that has been largely exemplary this season and which has produced nine turnovers. Players sounded eager to redeem themselves. LSU finished with 218 yards and all five TDs on the ground, continuing an early season trend of running effectively.